We understand many of our patients, physician referrers, medical groups and other healthcare partners have a choice of where to send their patients for medical imaging and exam interpretations. We hope this information will reveal the difference in our quality and service, and that you will continue to look to The Hill Medical Corporation physicians, staff, and facilities as your first choice. Subspecialized Radiologists and certified technologists working together with referring physicians to determine patient’s optimal treatment plan. 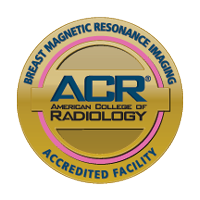 Continuous assessment of radiation dosage and exceeding ACR requirements. Five decades of patient centered diagnostic imaging you can rely on. Multiple locations and a variety of services to meet your imaging needs, when you need it. The Hill Medical Corporation is an active member of Strategic Radiology (SR), a national consortium which represents nearly 1,000 radiologists and is comprised of large, high quality, clinically advanced radiology groups that are geographically dispersed throughout the United States. Each member group is uniquely committed to a collaborative improvement model in which data and best practices are shared, clinical practice information is interchanged, and certain practice expenses are consolidated. Through our participation with Strategic Radiology, our goal is to improve value through the development of higher quality, more cost efficient medical imaging. 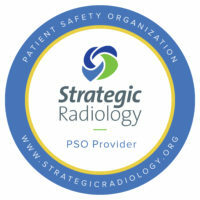 Hill Medical is also active with Strategic Radiology’s first radiology specific national Patient Safety Organization (PSO). The PSO model allows individual practices and hospitals to share quality and patient safety data in a confidential, yet transparent manner that cultivate improvement in outcomes through identification and reduction of risks and hazards in healthcare delivery. With our collaborative efforts in Strategic Radiology™, the radiation dose optimization sub-committee shares and reviews CT protocols from participating practices to develop standards and best practices. Dose Optimization Protocols. The Hill Medical Corporation collaborates with our clinical partners in reviewing and revising protocols to ensure optimal radiation dose. 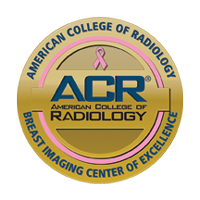 American College of Radiology (ACR) national initiative to reduce radiation dose in all modalities that use ionizing radiation. ACR driven initiative to take extra steps to ensure appropriate dose modifications for pediatric patients, an identified sub-set of patients that are more likely than others to be impacted by medical imaging radiation. The Hill Medical Corporation equipment has been updated in order to minimize patient exposure during imaging examinations. The Hill Medical Corporation has installed Dose Monitor™ through Strategic Radiology™ in order to track patient exposure by machine, exam protocol, site of service and technologist. All data will be aggregated on a national basis to identify opportunities for improvement. The Huntington-Hill Imaging Center on Fair Oaks, and the Hill Imaging Center in Glendora are designated Lung Cancer Screening Centers by the American College of Radiology (ACR). 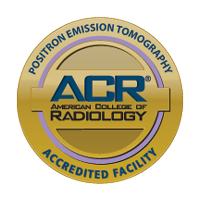 The ACR Lung Cancer Screening Center designation is a voluntary program that recognizes facilities that have committed to practice safe, effective diagnostic care for individuals at the highest risk for lung cancer. In order to receive this elite distinction, facilities must be accredited by the ACR in computed tomography in the chest module, as well as undergo a rigorous assessment of its lung cancer screening protocol and infrastructure. Also required are procedures in place for follow-up patient care, such as counseling and smoking cessation programs. What does ACR accreditation mean, and why does it matter? Our facilities voluntarily go through a review process to ensure that we meet nationally accepted standards of care. When you see the ACR gold seal, you can rest assured that your prescribed imaging test will be done at a facility that has met the highest level of imaging quality and radiation safety. The facility and its personnel have gone through a comprehensive review to earn accreditation status by the American College of Radiology (ACR), the largest and oldest imaging accrediting body in the U.S. and a professional organization of 34,000 physicians. It’s also important for patients to know that every aspect of the ACR accreditation process is overseen by board-certified, expert radiologists and medical physicists in advanced diagnostic imaging.